Announcing action plan for inclusion and diversity in Norwegian films and film culture. The Norwegian Film Institute (NFI) is implementing an action plan for inclusion and representativity in Norwegian films and film culture. The action plan is aiming to improve the quality, increase relevance, and strengthen the sustainability of Norwegian films in the future. Mr. Lars Løge, Mr. Sindre Guldvog og Ms. Live Nermoen presented the action plan in Norway earlier this year. Gender balance and broader representation are of utmost importance from a democracy - and freedom of speech – perspective. This applies to the entire value chain, from who the creators of the stories are to whom the stories are about, and who sees and experiences these stories. Norwegian film industry must be able to change and renew itself as the society we all are part of is changing. We want to be a driving force in this work, says Sindre Guldvog, CEO of the Norwegian Film Institute. We will strive to include new voices and break the usual patterns, because we believe it will raise the quality, increase the relevance and strengthen the sustainability of Norwegian films in the future, says Mr. Guldvog. 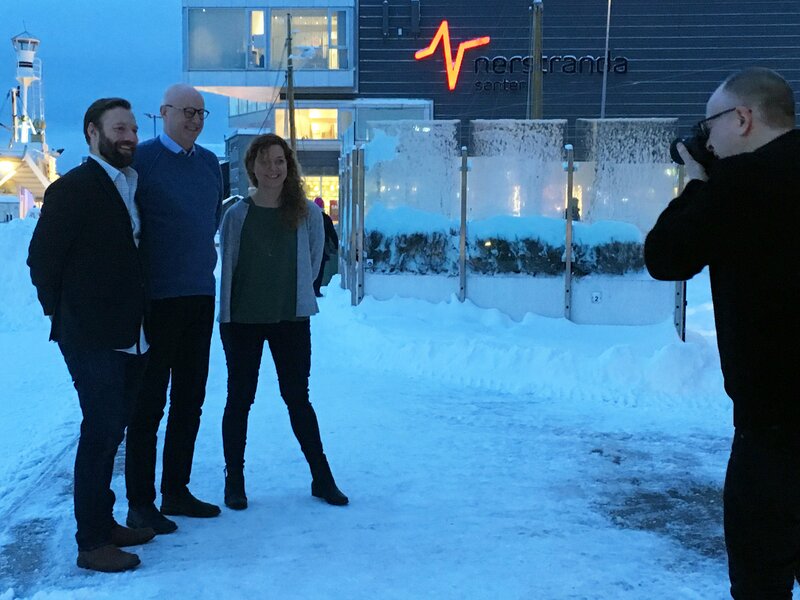 The action plan includes measures aimed at the entire film industry through the Norwegian Film Institute’s external activities and schemes, as well as measures aimed at their day-to-day operations and internal organization. The action plan will apply for five years ahead, with evaluation and adjustment along the way. Applicants for production, promotion and distribution grants will need to fulfill a diversity standard. The standard includes demands for inclusion and representativeness on-screen, behind the camera and in audience development. An assessment of a project’s relevance and its aim of reflecting the population will be carried out in the review of the application. The Norwegian Film Institute will continue to operate with moderate gender quotas, aiming for 50/50 by 2020. NFI will introduce mandatory reporting from the producers who have received development support. Optional workshops for projects applying for market support, with the aim of enabling commercial projects to be more relevant, to better reflect society at large, and thus expand the project’s audience potential in the marketplace. NFI will introduce a development programme for filmmakers from underrepresented groups modelled on the existing programme for female filmmakers, UP (2018/2019). NFI will produce and contribute to reports on gender balance and diversity in Norwegian films, and contribute to a major audience mapping, to secure relevant knowledge, statistics and analysis. 8. Joint strategy for talent development and recruitment. In cooperation with the regional film centres, The Sámi Film Institute and Talent Norway, NFI will prepare a joint strategy on how they can cooperate on talent development and recruitment from underrepresented groups. NFI will host courses and seminars on unconscious biases and workplace discrimination, and other challenges related to diversity, relevance, inclusion and representation. In addition, the action plan includes four internal initiatives for NFI’s internal operations. Go to action plan for diversity.